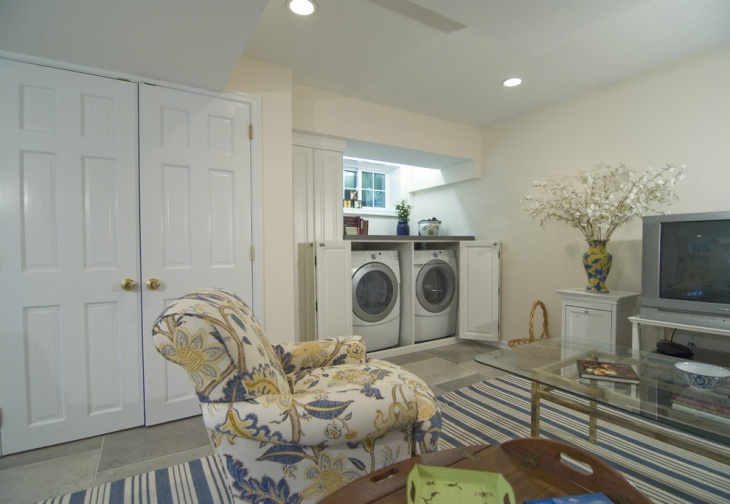 Despite the lack of space, a small room can still have an abundance of style to compensate. 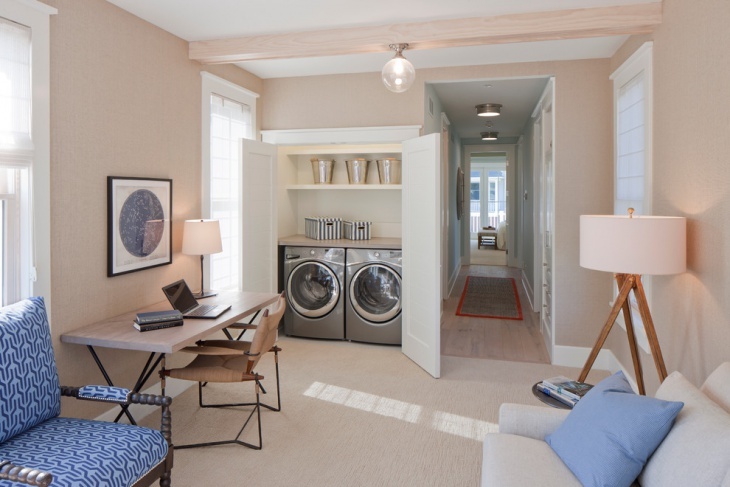 So many homeowners around the world have taken full advantage of the space available in small rooms to create something that looks stylish and at the same time completely functional. In today’s post we are going to analyze all the possible ways that a small room can get transformed into a pleasant and worth living in space. Bulky furniture is the enemy. A small living room can look bigger if you avoid bulky furniture. 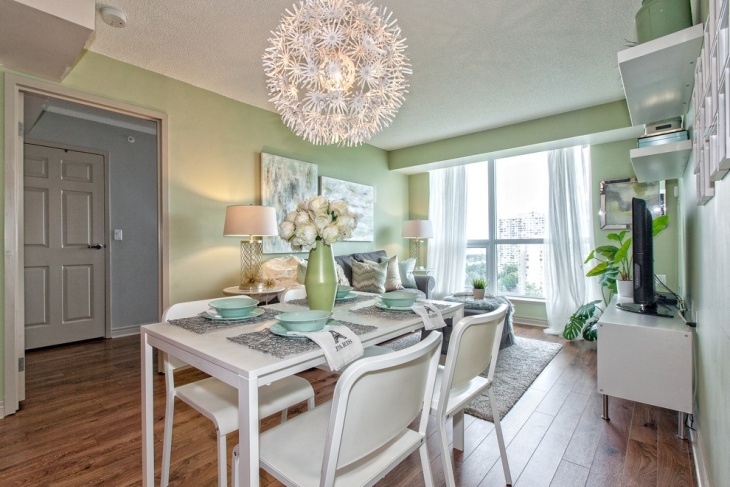 If you can’t help it though choose to add a light colored rug in order to open up the space. Additionally you can use glass coffee tables in order to trick the eye. 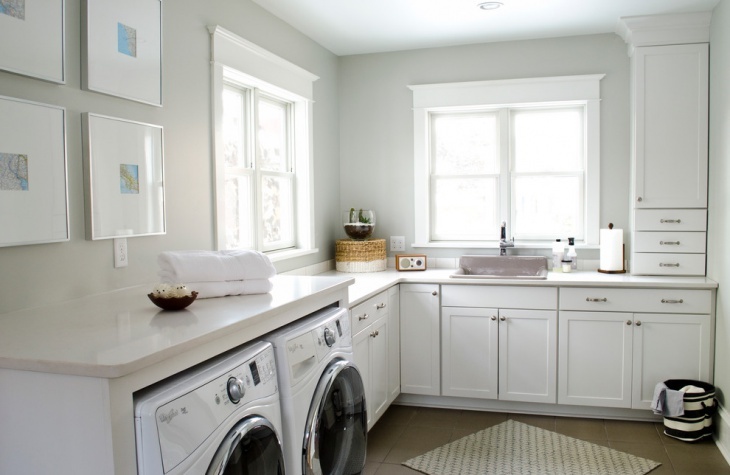 Add pop of color in your small laundry room to make it look stylish. You can use a vibrant color combination that will make the room look bigger, however you have to limit the number of colors to two or three or else the room will end up looking overwhelming. A dining room needs light. Large windows are going to make the space look brighter and more open to the eye. Moreover you can add some artistic elements in order to give character to the room. You can exchange the chairs with benches in order to save space. 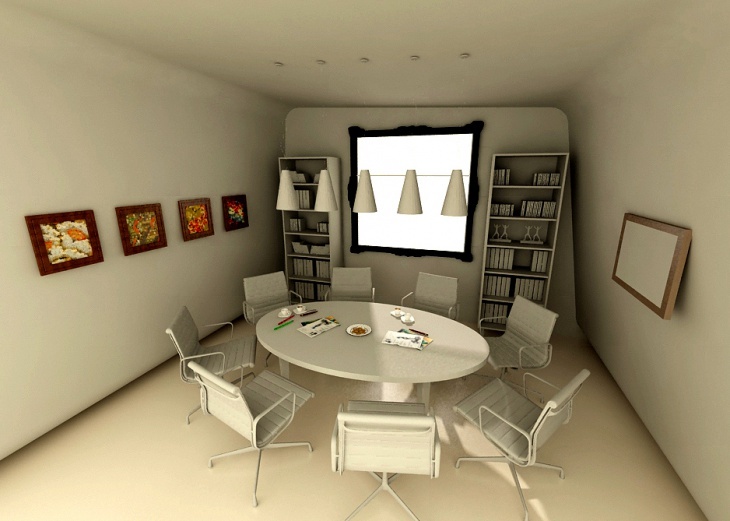 Keeping in mind the capacity of this room you can create a functional and stylish conference room. Make the space look bigger with a glass. 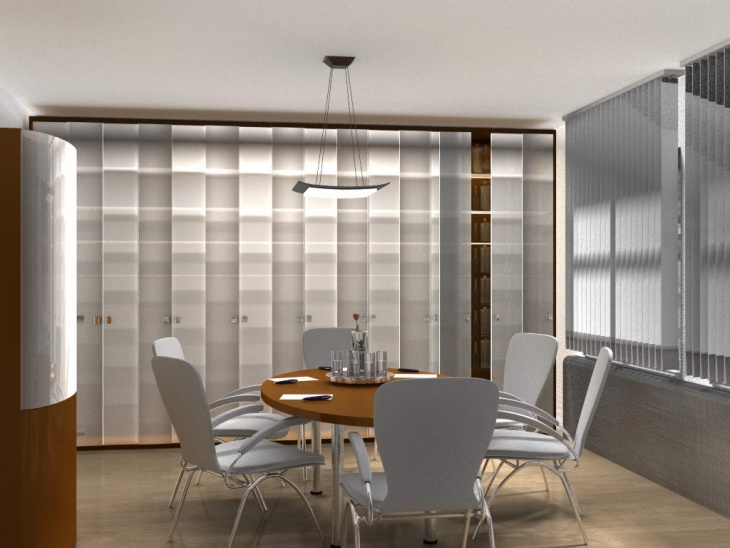 Its delicate structure along with the transparency of the glass will make the room look bigger. Also create a vibrant ambience with light colors. Make your space look organized with floating or hanging shelves. Even the smallest office room needs storage space for files, books and everything else that is work related. You can choose a smaller office table with a chair that has wheels for versatile and industrial look. Choose your favorite style and go for it. 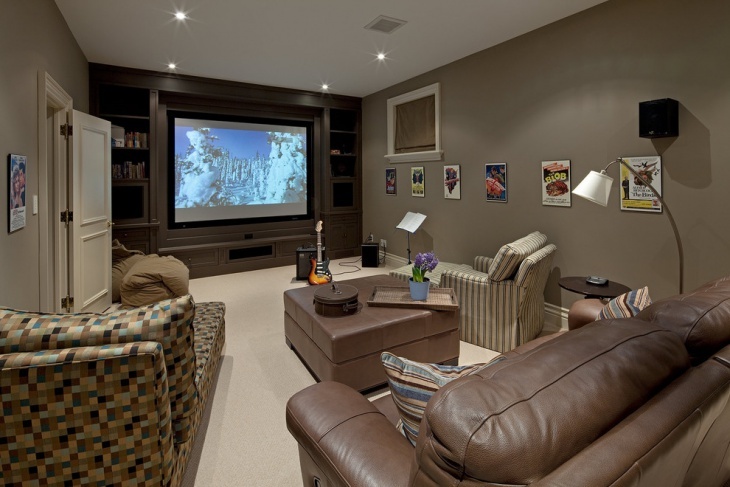 Media rooms are completely versatile. You can create a media room that has glamorous and elegant atmosphere with light colored walls and furniture or you can choose to go for a contemporary style with leather furniture and dark colored walls. Kids have so many toys that turn into a problem when it’s all scattered around a small kid’s room. For this you can create extra storage space. 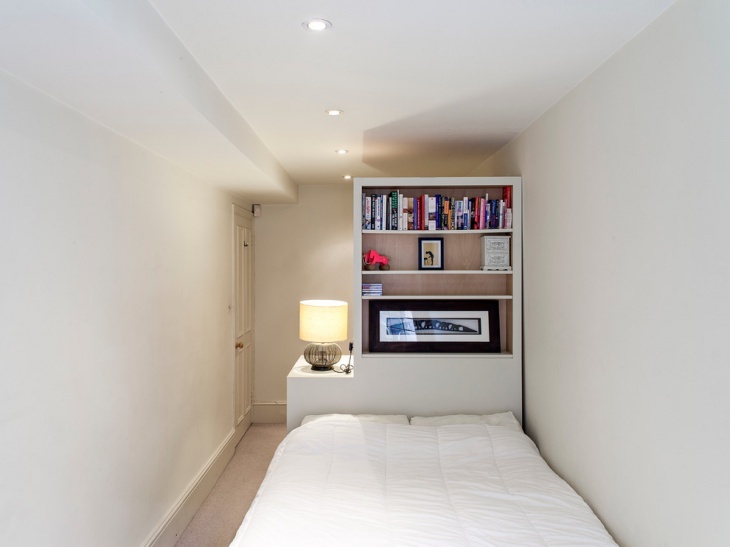 Take advantage of every nook and cranny in order to create floating shelves or you can just use the space under the bed. Small bathrooms can have style. 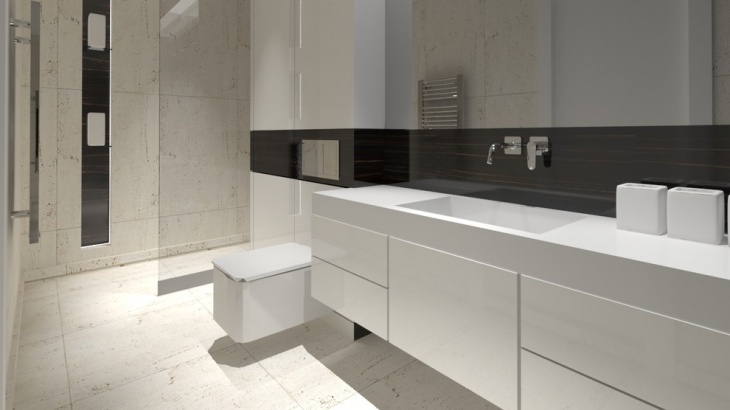 If you want a large bathtub to soak in, then you can save space in storage with built in shelves for towels and other items. 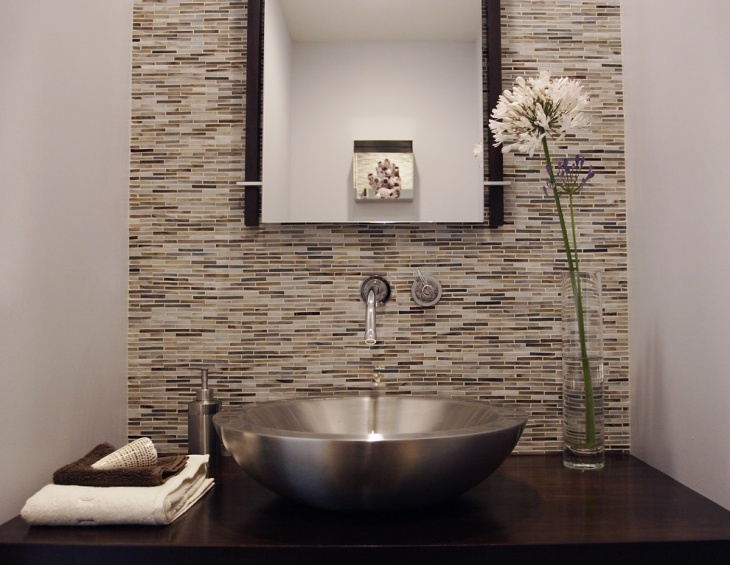 Use a large mirror and opt for an oval shaped sink to give you more counter space. If you like dramatic colors then do not hesitate to incorporate them in your small bedroom. If you are still hesitating then you can start small. 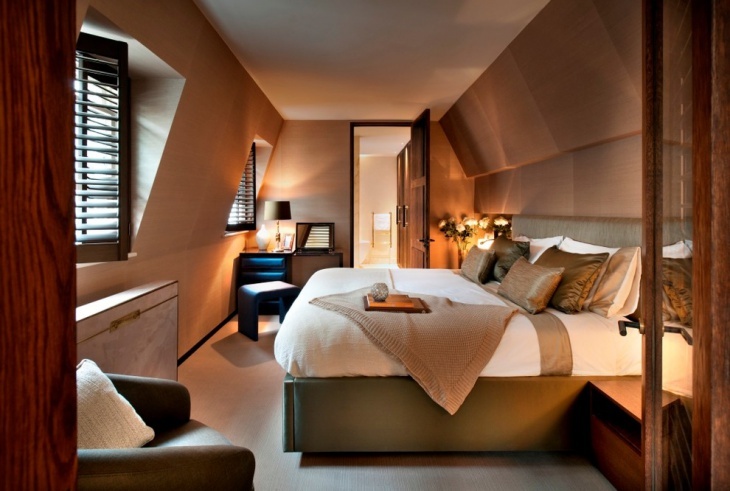 Leave the walls in bright colors and introduce dark colors with furniture or bed linens. 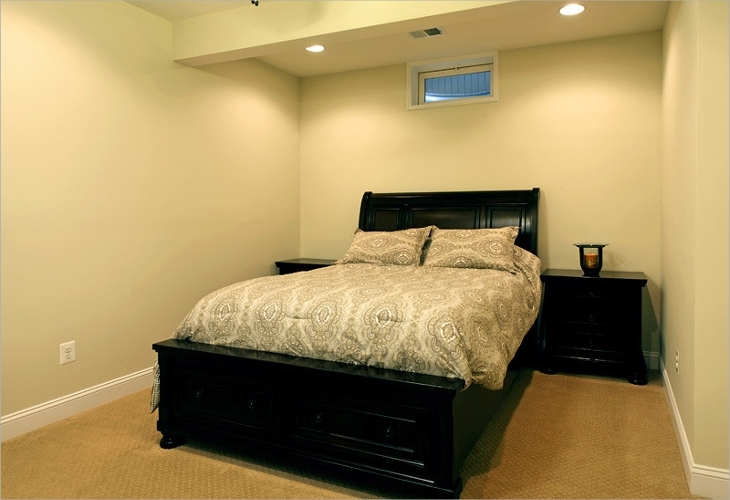 Also choose sliding doors for the bedroom’s closet. A guest bedroom needs to be cozy and serene. Use soothing colors for the walls and bed linens. Create extra storage space with in-built shelves. Moreover, hang the curtains from the ceiling and not just above the windows. This will make the room look taller and bigger. 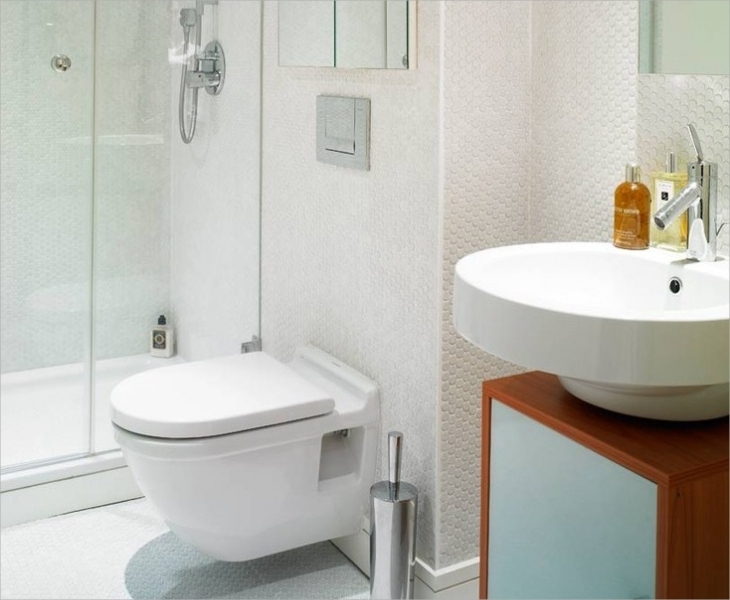 Adding color in a small powder room is going to give the illusion of wider space. Furthermore, you can decorate it after a certain style, like traditional or contemporary. 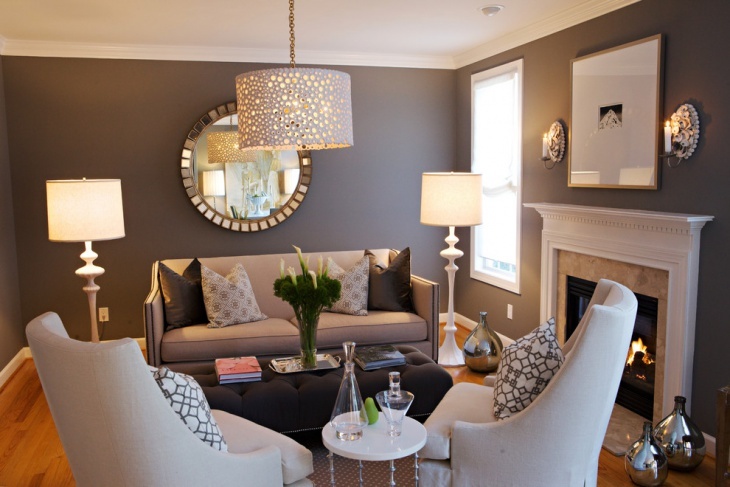 Add a large mirror to make space look bigger and brighter and to provide a special character to the room. 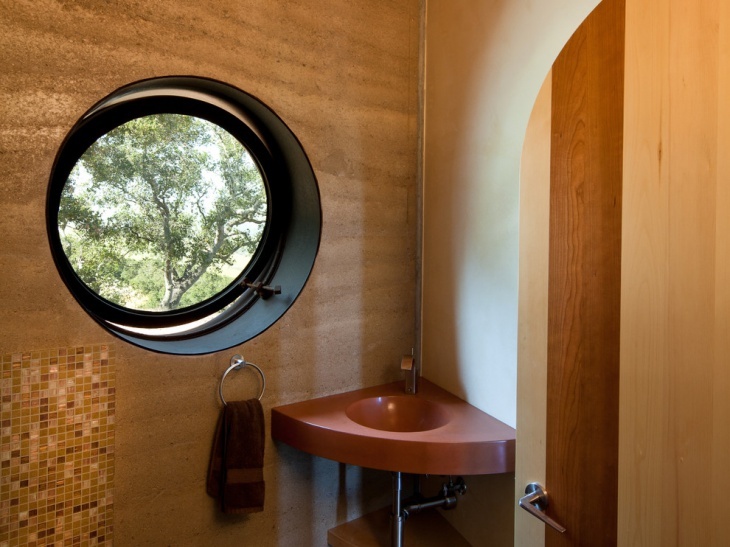 You can choose a clear glass shower cabin. This will make the small shower room look bigger. 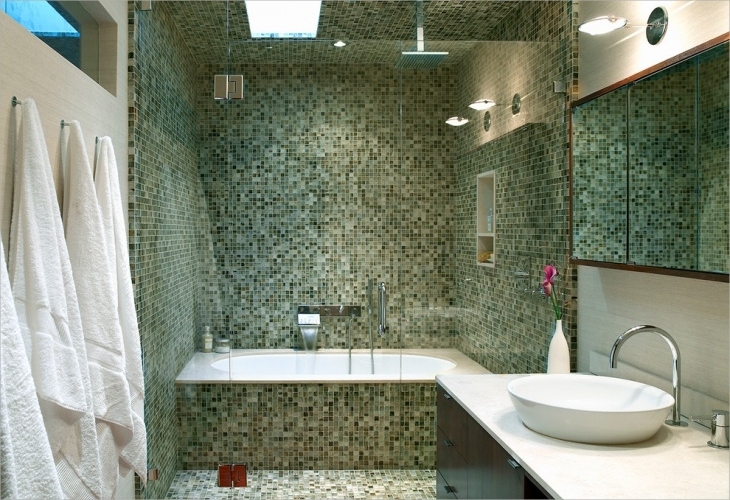 Additionally you can use the same flooring tiles in the shower too to make give a unified look to the space. 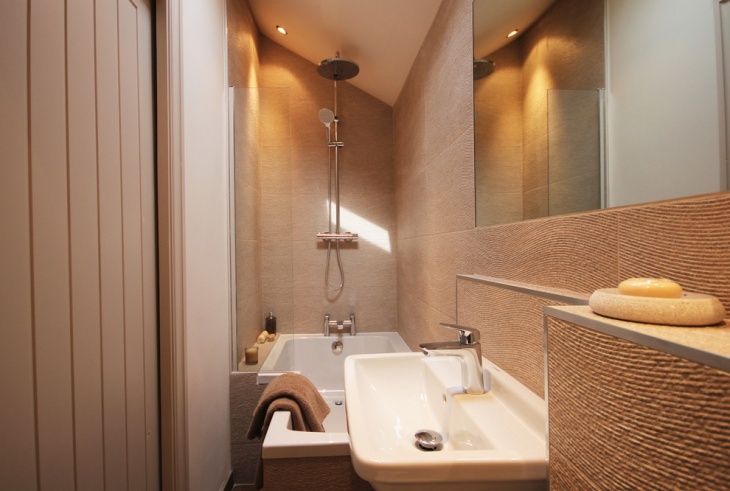 A geometrical design in the shower tiles will add a strong character. Make the small space look stunning with the right rug. 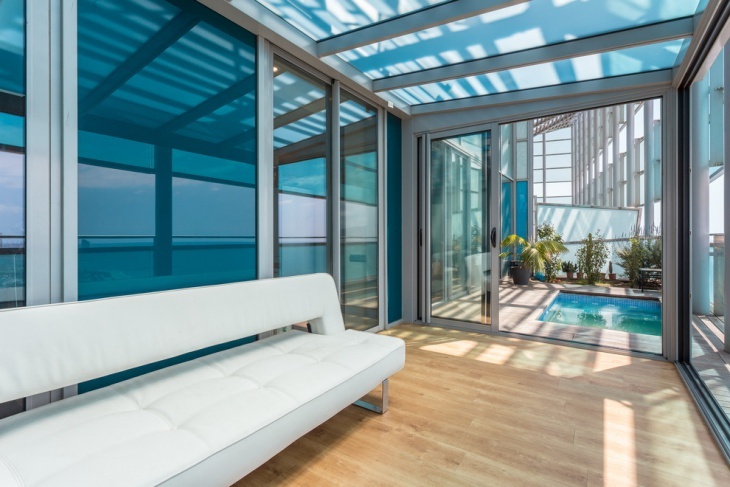 Choose comfortable and stylish furniture to give you a comfortable space during sunny days. A small sunroom has to be pleasant. 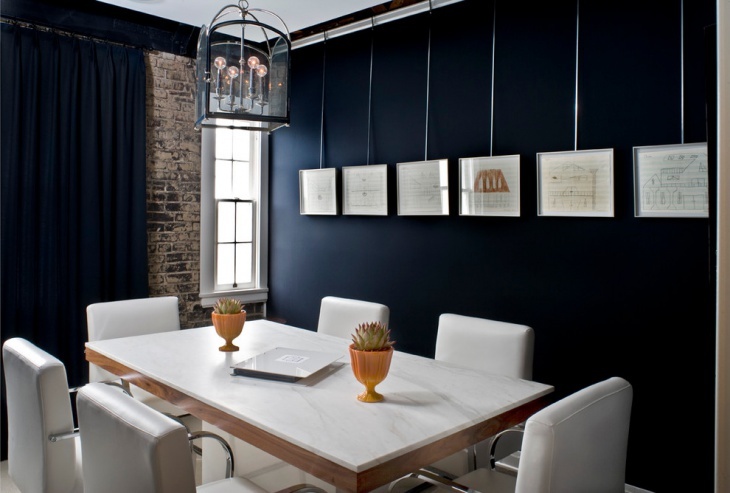 Choose vibrant colors or dark one’s in order to give a dramatic effect to the general look. 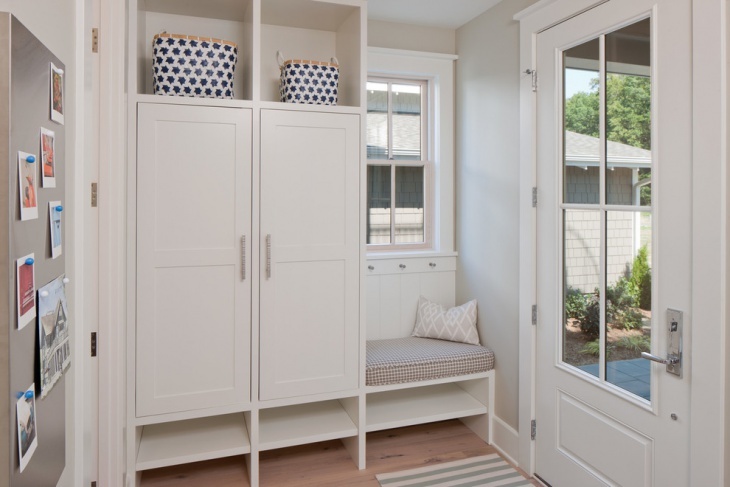 A mud room’s wall space provides with a great opportunity for storage. 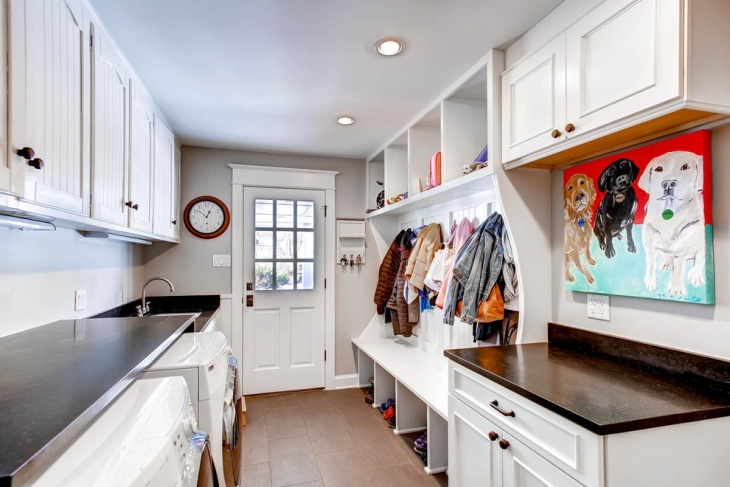 Create a space with hanging hooks or an open closet theme for coats and other necessities. Keep the space clean with tile flooring and add a pot with a tall plant for a natural look. Large windows will make the space look bigger. 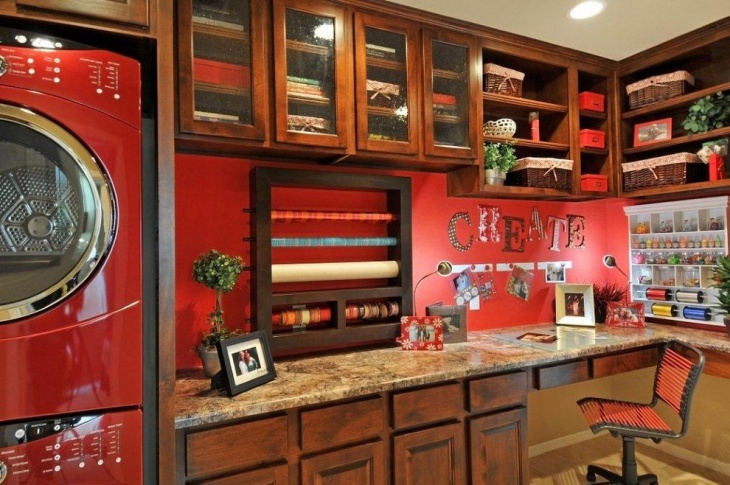 Apart from the storage space for crafting supplies you will need adequate work space. You can achieve that with a table that you can put to a corner. This will leave you with enough space for free movement while working on projects. 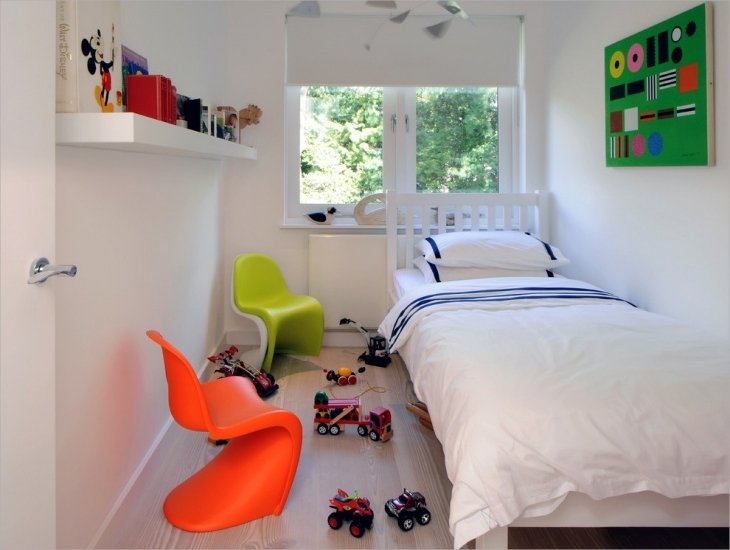 Small rooms are easier to look cluttered. For this it is essential to have storage space. On the other hand, storage space is not the only thing a small room needs. 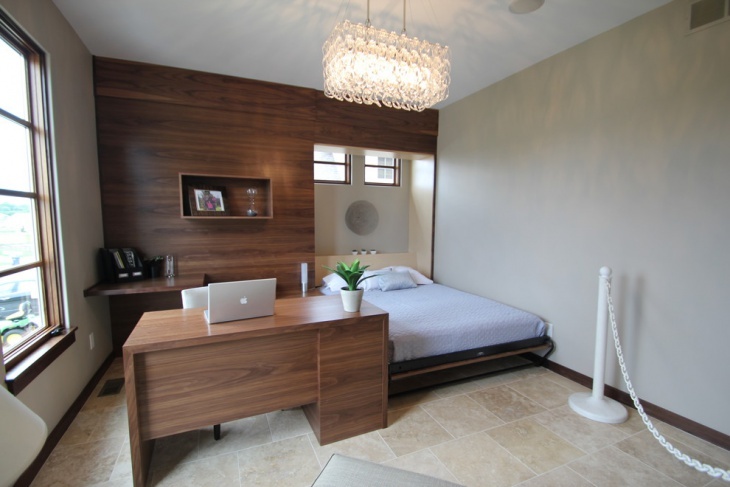 Style and a combination of smart furniture will bring a balance to create a stunning and modern small room. Spice things up with a wallpaper in your small lounge. This will look amazing taking up an entire wall giving a bold or soft character depending on the pattern. You can also use an accent wall with 3D patterns. Choose the curtains in bright colors, hanging them from the ceiling. Make the small TV room look great with beautiful furniture. A comfortable sofa and a coffee table are enough for the smallest rooms. You can also place paintings on the walls to bring some style and color and tall floor lamps in modern design for light and homey ambience. 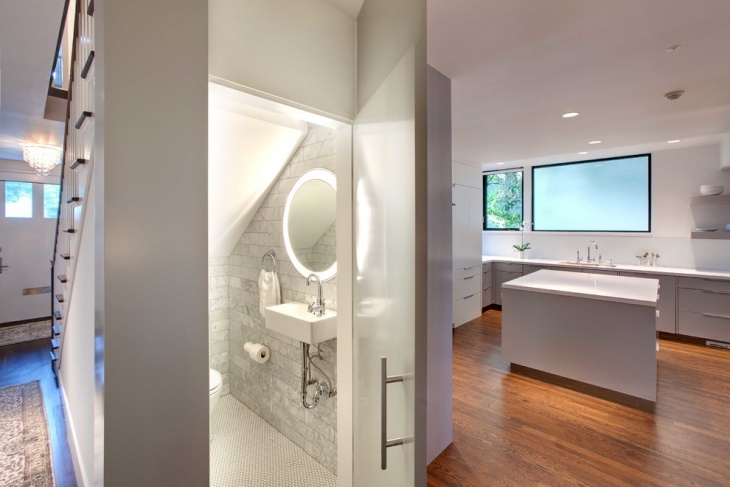 White color is the answer for small rooms. 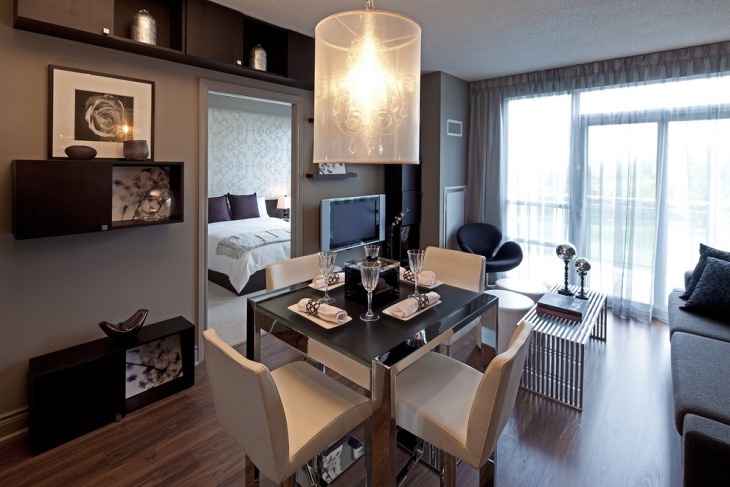 Interior design dictates that in order to get a room to look bigger you need light colors. This goes hand in hand with the lighting of the space. A large window will give plenty of lighting, opening up the small room. With bright walls to make the space look bigger you can play things up with pops of color in the furniture or the bed linens. On the other hand, white furniture will give you a canvas that you can work on to create a unique and stunning teenage girls’ bedroom. Make use of space. 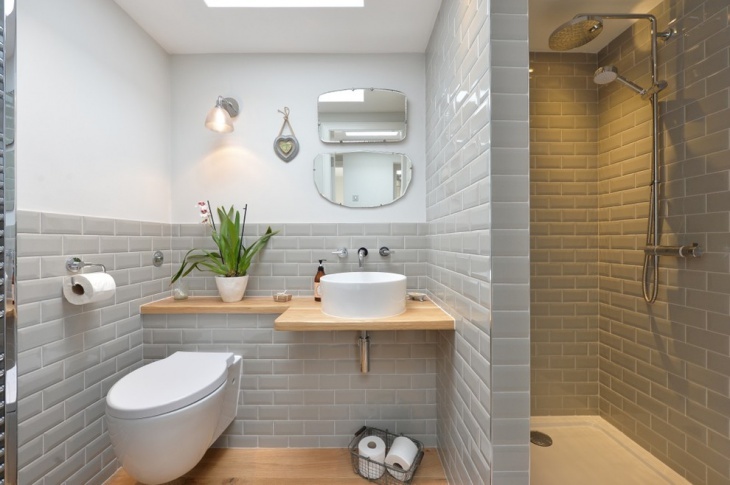 In small rooms every square inch counts, both horizontally and vertically. Create more storage space taking advantage the empty space that is created under most of the furniture. Additionally, you can skip the coffee table in the living room and instead use smaller side tables to give you extra room. Lastly, hang your draperies high. Curtains that hang from the ceiling will make the room look taller guiding the eye upwards. Your house is yours to live in. 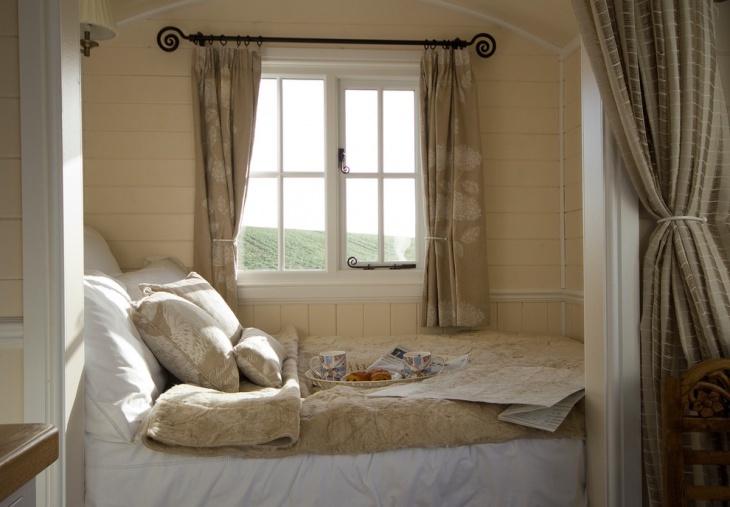 Even the smallest of rooms can be transformed into a paradise. All you need is style and creativity. 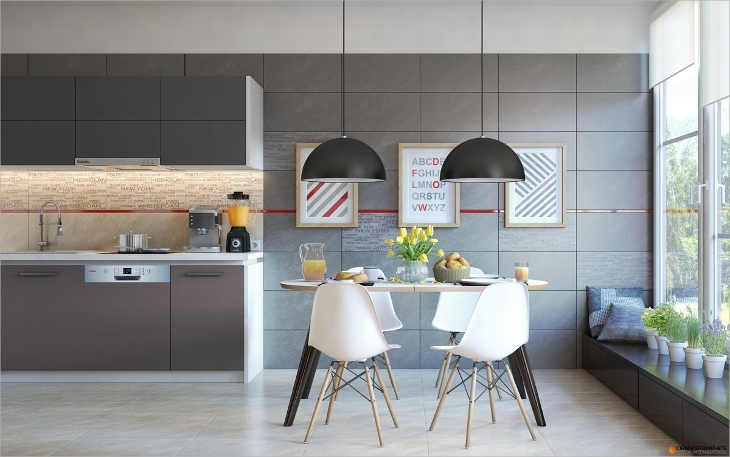 With this collection of multiple small room designs, we hope that we sparked your creativity with some fresh inspirational ideas to use in your house.